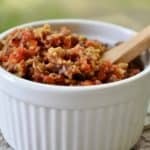 Red Pepper Tapenade is what you make when you suddenly and very unexpectedly don’t have your kids home for dinner and you want make mealtime special for your husband. You whip it up while dinner finishes and then toss together an antipasto board with it. Everything for Red Pepper Tapenade comes from the pantry or the fridge and it literally takes 5 minutes to make but it looks impressive. Shhhhh that’s my big secret to cooking, it looks complicated and fancy yet takes next no real hard work. Like I said everything for this recipe is from the pantry or the refrigerator depending really on whether you’ve opened them or not. Roasted red peppers from a jar, mixed olives from a jar (I used Greek and Jumbo Spanish) but you can use just about any olives you have on hand. 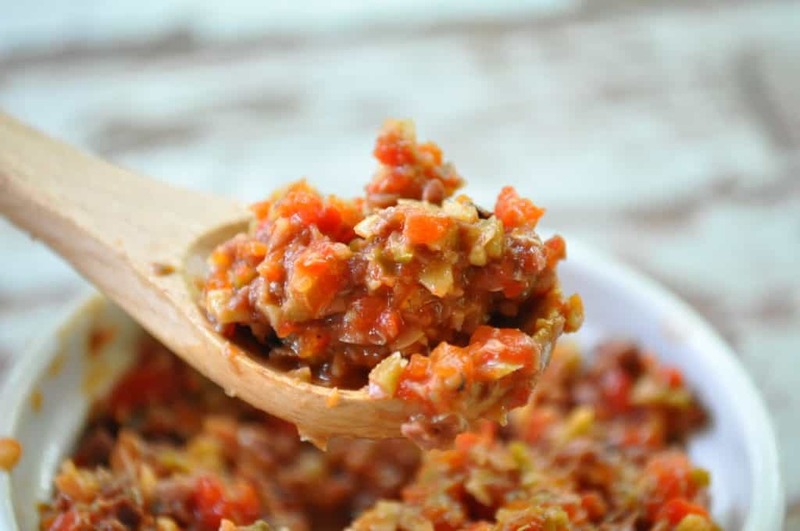 I prefer a good mix of tangy olives to really give this tapenade recipe a kick. Black olives will work just as well but it will be a little less flavorful but just as good. Capers and anchovies really round this out along with a slug of olive oil. You can add fresh basil or garlic or anchovies if you like but in this recipe I’ve left them out so the olive flavors shine through. This is one of the reasons I always try for the fully loaded pantry; I’m prepared for a surprise date night or a snowstorm or a power outage.  You never know what’s coming down the pipe in Alaska but a fully stocked pantry means you’re prepared for anything. The only problem with a fully stocked pantry is you have to work at it, you can’t buy a bunch of stuff and just leave it, it needs to be eaten and replaced. It takes actual work for a pantry to work for you but as you can see by this recipe it is SO worth it. 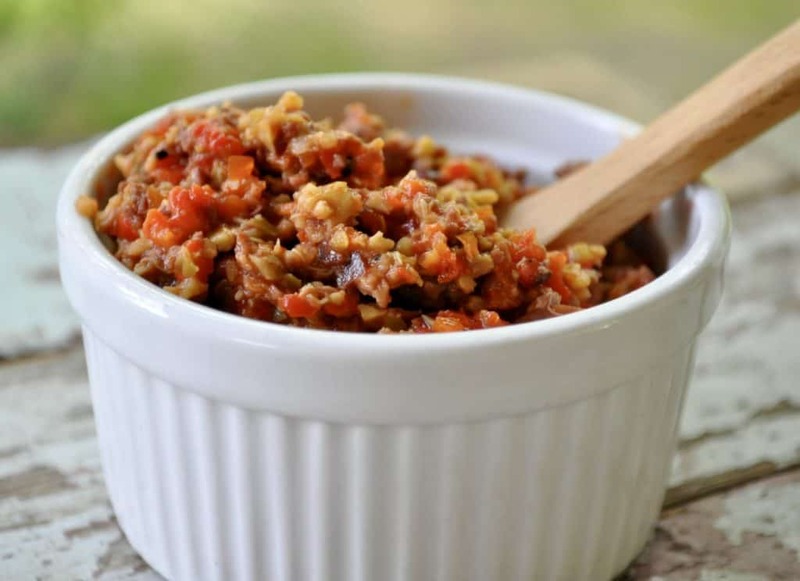 This simple Red Pepper Tapenade recipe leans heavily on a well stocked pantry and a good mix of olive flavors, add garlic or basil or anchovies if you need them. 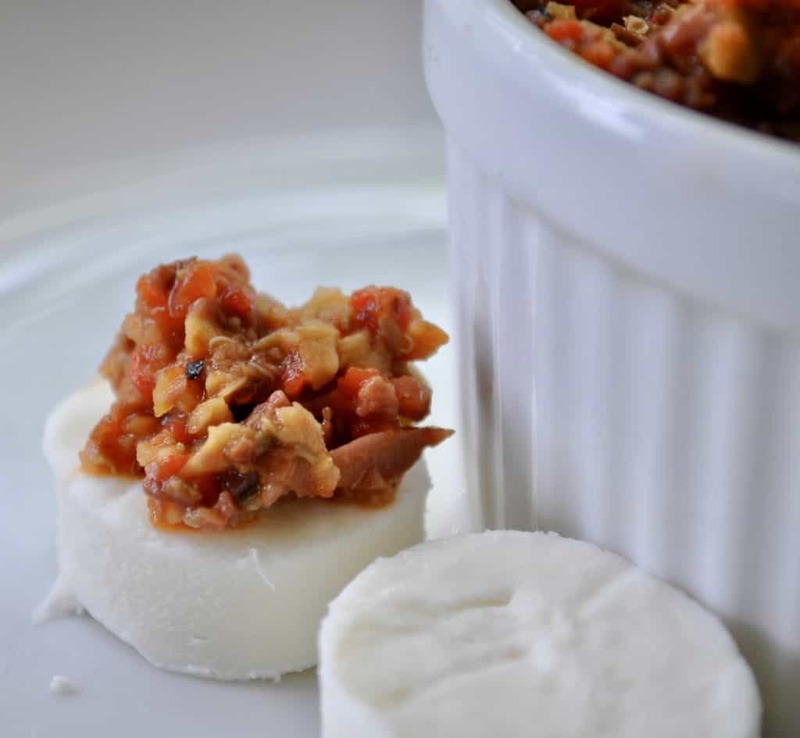 Wondering what to do with tapenade? Use it on a cheese board or plate as a tasty topping for breads or crackers. Serve with a loaf of crusty bread for a simple snack or appetizer. Use on sandwiches or burgers for surprising and tasty treat.